It's completely free, so what's not to like? While Rayman fans were undoubtedly shafted from grabbing Rayman Legends on Wii U earlier this year, we’ve finally been given some sort of compensation for having to wait. 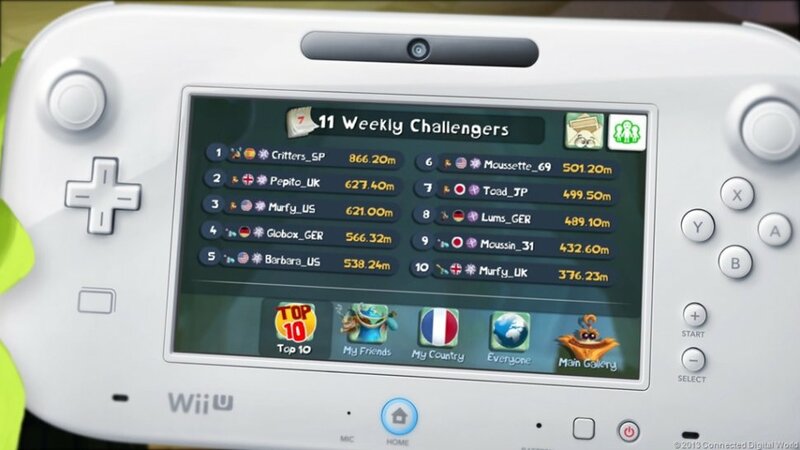 Released today, gamers can download the special “Rayman Legends Challenge App” on Wii U and hold off their Rayman Legends appetite until the game’s official release this summer. Think of this app as a glorified Rayman Legends demo, offering players various weekly challenges to both rank on the online leaderboards and obtain in-game unlockables (like character skins). But if leaderboard rankings really aren’t your think, local co-op players may enjoy competing between each other all the same. It’s fitting that this app is only available to Wii U owners after making them wait until all the other versions come out. Again, it’s totally free, so why not take a look into it? Check out the “Rayman Legends Challenge App” on the Wii U eShop today and tell us what you think! Rayman Legends will officially release on Wii U, Xbox 360, PS3, and PC this August 30th.